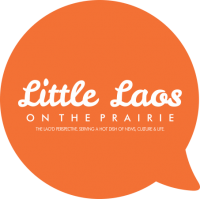 LLOTP was able to catch up with Miss Minnesota USA 2012, Nitaya Panemalaythong, and ask her a few questions on being the first Asian American Miss Minnesota USA, her favorite Lao dish, and her super powers (if she were to possess any). With school, work, and family on your busy schedule, how do you manage a typical day? I’m not sure! It’s definitely hard trying to juggle everything but I have an amazing older sister who helps me out a lot so I don’t think I can get through my day without her sometimes. Oh and of course, I don’t get much sleep! What is the newest book we’d find on your bookshelf? I’ve been so busy with everything that I haven’t read an entire book or bought a new one besides my texts books from school in a LONG time! I’ve heard “Hunger Games” is good though so maybe I’ll have to find time to pick that one up. If you were allowed one favorite Lao dish, what would it be? I love alternative rock music and my favorite band is Evanescence. Amy Lee is an amazing singer/songwriter and I hope I get to meet her one day! If you could be a superhero, what powers would you have? Why? Now that you are Miss Minnesota USA, you are no doubt a role model to many young women. We’re interested to know how you might connect specifically with young Lao women in the US and abroad? I try my best to respond to messages that people send me on Facebook, Twitter (if I can learn how to use it) and my Miss Minnesota USA email so I think I am able to connect with them that way. If I haven’t yet, please bear with me! Otherwise, I think I would definitely like to make appearances at conventions or festivals if I’m invited and meet these beautiful young women in person. Just remember though, beauty truly does come from within. Beauty pageants have become more diverse with more women of color deciding to participate. How does it feel to be the first Asian American to be crowned Miss Minnesota USA? I definitely feel honored and blessed to not only win the title but also, I guess, make history! I think it’s still surreal to me so it really hasn’t fully sunk in yet. Maybe it will when the Miss USA competition gets closer? If there is only one Lao word you want America to learn from you, what would it be? Minnesota is home to the third largest Lao community in the US. How do you intend to connect with the community and share your experience of being Lao American in the Midwest? I would like to attend the Lao New Year festival that Minneapolis will have and start there. However, word spreads fast within the Lao community so I think it has already gone beyond the Midwest. I’ve gotten so many wonderful comments and numerous congratulations from so many people from all over the US and all over the world on Facebook and on my Miss Minnesota USA email. So through technology (can’t really live without it these days!) and appearances I hope to share my experience with those who are interested from all over the world and hopefully be a role model for not only the Lao community and young ladies but really for anyone who has a dream of wanting to achieve whatever it is they set their mind to. What’s the best advice you’ve gotten in the last year? The best advice that I’ve gotten (from my sister) is to be true to myself and what I believe in. And, to also listen and follow my own instincts when there are too many people giving you advice and are sometimes unintentionally leading you astray. There you have it folks, Miss Minnesota USA 2012—Nitaya Panemalaythong. Let’s look forward to her participation in the Miss USA competition this summer. We will be rooting for her all the way! Stay updated and “like” her facebook page or follow her on Twitter. *Note: Pun is a type of lettuce wrap, usually with a choice of meat or fish, with noodles, garnishing, and a dipping sauce.